Do you want to enjoy your favored Spotify songs when you are off-line during the vacation? 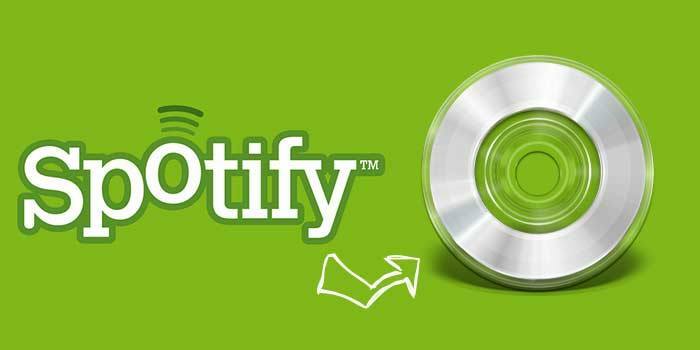 Are you thinking of burning CD from Spotify so that you can play it on your car? Well, this article will show you the best ways to do it with couple of clicks. Lots of Spotify users encounter this trouble. All we wish to do is burn my Spotify songs to CD, we are not going to offer or share it to others. 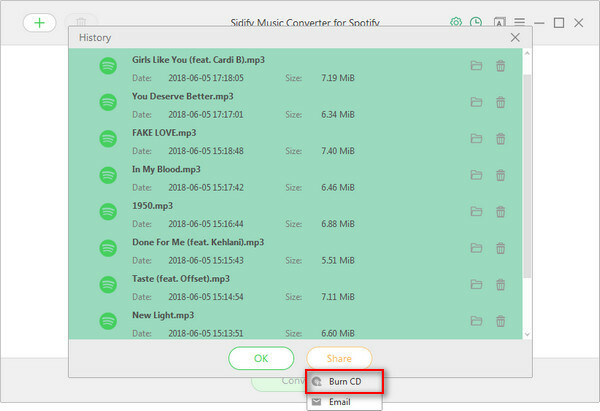 Fortunately, right here I got a easy method to use software tool that can convert music downloaded from Spotify as MP3 files and then burn to CD with iTunes or any CD authoring software you like. A CD/DVD Burner:Most computers nowadays come with a built-in DVD burner that has the capability to burn CDs. If you don’t have one of these burners, you can buy an external DVD burner that plugs into your computer’s USB port. A Blank CD disk: A CD-R or CD+R disc means that you can only burn (write) data to it once, but a CD-RW or CD+RW disc can be written to multiple times. The write-once CD-R or CD+R provides maximum compatibility, but newer players accept CD-RW or CD+RWs, too. The latest version of Spotify. 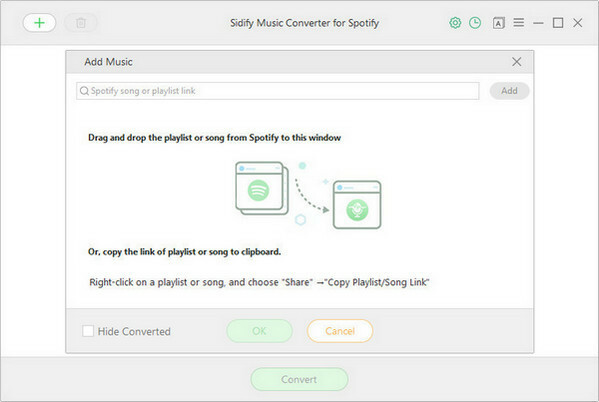 Launch the Sidfiy Music Converter and click "+" icon to manually drag & drop any music file or playlist from Spotify into Sidify adding window. Then you can check the music that you need to convert and press "OK" button. Afterward, click setting button in the top-right corner and adjust the basic parameters (Including Output format, Conversion Mode, Output quality and Output directory). 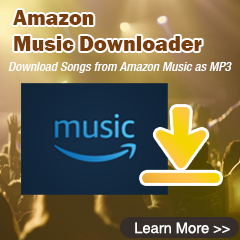 Here you can select format as MP3, AAC, FLAC or WAV and choose output quality up to 320kbps. Click the green "Convert" button to begin the conversion process. A pop-up window will appear two blue progress bars indicating the current and total conversion progress. Firstly, you need to insert the blank CD into your computer, waiting until the disc is recognized. 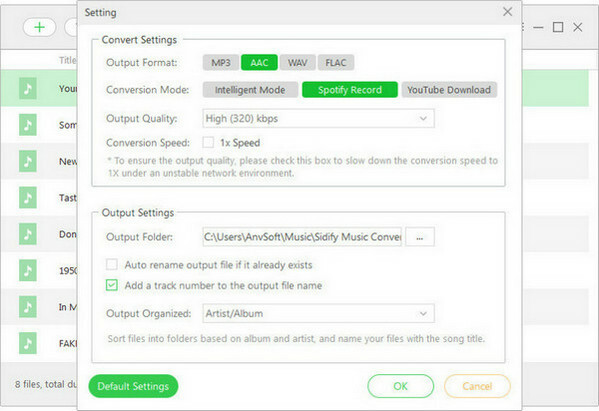 Secondly, click to find the well-converted audio files converted by Sidify Music Converter and select them individually by pressing "CTRL+click" or "SHIFT+click" on your key board. Then click on “Share” button and tap "Burn CD" in the drop-down list. Finally, hit the “Burn” button to start recording all the Spotify files to CD. Now, you can freely enjoy your favorite Spotify music while you are driving. 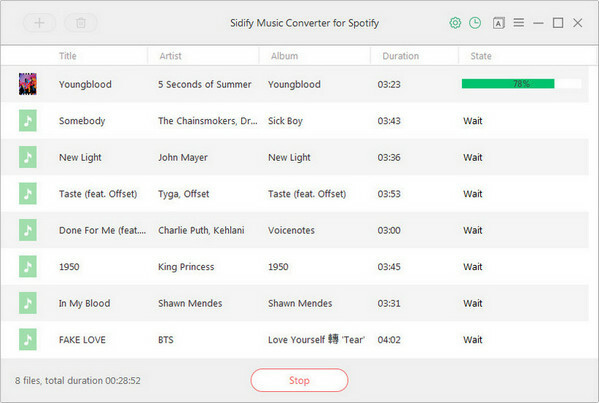 Note : The free trial version of Sidify music converter for Spotify enables us to convert first 3 minutes audio for sample testing, but the full version doesn't have this constraint. Just purchase the full version to unlock the time limitation.